As with most questions that we try to answer here, it’s important that we first establish some ground rules about what we’re trying to answer before we can start analyzing the issue. Specifically, it’s important that we address who we count in this list and who is excluded. For example, if I were to tell you Luna knows that Usagi is actually Sailor Moon, that’s really not all that surprising. So does that mean that we can exclude all other members of the Sailor Team and their respective companions? That depends on who you ask. 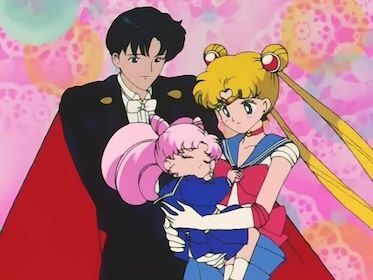 For example, it was a pretty big deal when Mamoru learned that Usagi was Sailor Moon (and vice versa),1 and definitely no small shock for ChibiUsa to learn that Usagi was, in fact, her mother and the future Neo Queen Serenity. Though I consider these all pretty important plot points, I’m going to exclude all other “good guys” from this list for the sake of our sanity. What about Ail and An? They know! So if the heroes are out, what about the villains? While in most series I would generally agree that it makes sense to include the villains in our list, let’s be completely honest here: how many Sailor Moon villains don’t wind up eventually figuring it out? And that’s not even addressing the fact that most of the villains either end up dead or healed. 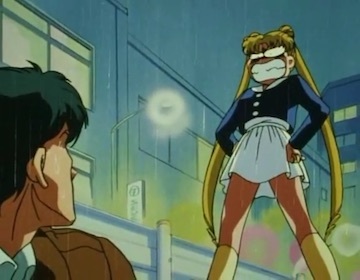 In order to make this a nice, clean break, I’ve decided to restrict our analysis to only people who themselves have nothing to hide – what many Sailor Moon fans often refer to as “civilians” or “citizens.”4 That also knocks characters like Peruru off our list, so my apologies in advance to all you Sailor Moon SuperS movie fans. Now that I’ve basically excluded most people from consideration, who does that leave us with? Motoki is interesting in that he knows about the secret identities of Usagi and the rest in the manga, but appears to be clueless in the anime. Considering that the Game Center Crown is a family-run business and that this serves as the base for all of Luna’s secret communications, you think he’d pick up on something eventually. Alas, the cute and lovable goofball never seems to catch on in the anime. Read also: Why is Rei So Different in the Anime and Manga? Probably one of the first characters to come to many people’s minds, this anime-only character is unique not only in learning about Ami’s secret identity (and presumably the rest of the Sailor Team as well), but also for the fact that he’s one of the few one-shot characters to appear more than once. You go, Urawa! I threw both of these anime-only characters together since they appear in the same episode, and they both have the same connection of knowing about Minako’s true identity while she was living in London. Considering they both still live abroad, I imagine they aren’t much of a risk of exposing Minako’s secret. Manga-only character and Mamoru super-fan, Asanuma has a surprisingly long run for someone who is otherwise a — no offense! — minor character in the series. 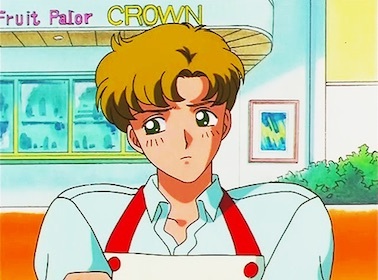 He appears in the Black Moon, Infinity, and Sailor Stars arcs, though with only brief appearances in the latter two. After confronting Makoto about how strange she and her friends are acting Makoto reveals to him that she is actually Sailor Jupiter, and then tells him the secret identities of the rest of the Sailor Team while she’s at it. Old time friend and object of Minako’s affections, this one-shot anime character could have had it all if he had just chosen to date Minako instead of whatever other volleyball-playing harlot he went with. Not one to hold a grudge, however, Minako came to his rescue in the guise of Sailor Venus when Tsutomu’s heart crystal was stolen by a Daimon. Despite being too dense to realize that Minako was clearly the better love interest, he was observant enough to notice that she and Sailor Venus were one and the same, so good for him on that one! 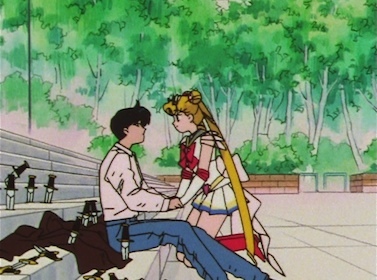 Hey, listen, Mamoru… could you stop blowing my cover? No offense to Mamoru and all the good he’s done in the series, but he really dropped the ball with this one. When his one-shot “friend” (who we never saw before or since) Saori was slated to be next in line to get her Dream Mirror taken by Tiger’s Eye, she witnesses Mamoru almost get hurt by a Lemure. 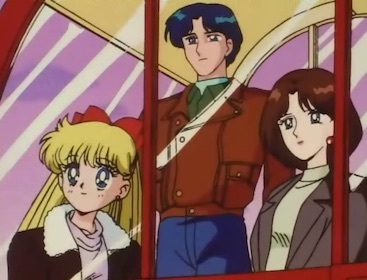 Super Sailor Moon comes to his rescue and Mamoru, worried about her safety, yells out “Usakooooo!” Saori, obviously knowing Mamoru and his girlfriend, figures it out from there. Though I feel comfortable saying that Naru doesn’t know the truth about Usagi in the manga, there’s a strong argument to make for the anime. Unfortunately, we never really get a clear answer for her, so we’re left eternally wondering if Naru ever realized how fourth-wall-breaking it was to sing the Sailor Moon theme song with Sailor Moon herself. I realize that it’s a pretty normal thing in the series for characters to miss out on blatantly obvious hints and not realize that Usagi and Sailor Moon are the same person. 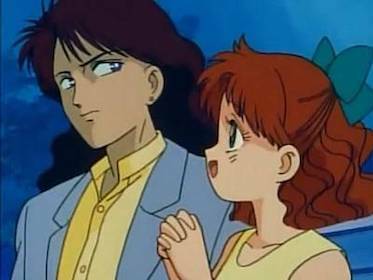 However, in the case of Amade, it just seems especially unbelievable to me that he and Usagi go on a hair-raising Youma-chasing adventure through the streets of Tokyo, end up at the radio station together, and then he somehow fails to realize that she is also Sailor Moon, a super heroine who comes out of nowhere to help fight said Youma. At least that’s enough for me to put this anime one-shot in the “maybe” column. As I mentioned at the beginning, the length (or lack thereof) of this list is entirely dependent upon where you draw the line of who counts and who doesn’t. In the interest of being thorough, I think it could be fun to see a full list of every single reveal — including enemies, other Sailor Soldiers, and otherwise — but unfortunately that type of article would be at least two or three times the length. That’ll have to wait for another time. So who did I forget?? I’ve gone over this list at least two or three times and I feel reasonably comfortable it’s complete, but I’m almost certain I’ve left someone out. If I missed anyone, or if you have anyone else to add to the “maybe” column, let me know down below! ← Does Naru Know That Usagi Is Sailor Moon? Dub-only, but Kamoi from SuperS seems to figure out Usagi and Chibiusa are Moon and Chibimoon. I always thought that was funny and random for them to include that. 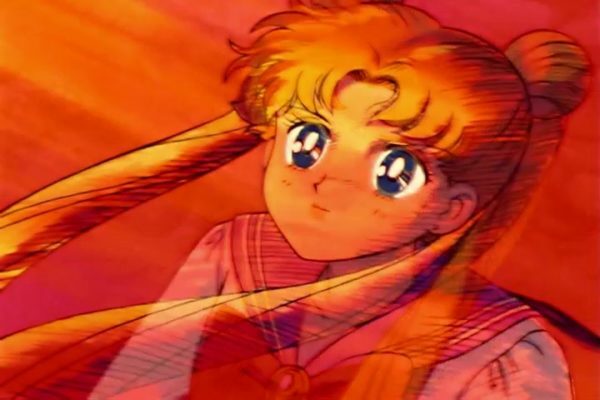 A nitpick: Naru in the manga knows by the Infinity Arc, when Mamoru tells Usagi he’ll keep Naru safe while the Sailor Senshi deal with the first Daimon to appear on page-and does so in front of Naru. * Manga!Umino: he was with Naru in the Daimon scene, so I dare say he knows too. * The video game otaku crowd at the Crown: they saw Minako TRANSFORM BEFORE THEIR EYES. As for manga Naru and Umino, I addressed that scene in a previous article (Does Naru Know That Usagi Is Sailor Moon? ), so personally I wouldn’t consider it conclusive proof that she knows anything. But of course, that’s just my opinion on the issue! Regarding Sakurada and Wakagi, you’re absolutely right! As much as I love Codename: Sailor V, though, I don’t usually include it in my articles since the timeline can get pretty ugly. I have been meaning to talk about a few interesting issues from the series, though. Gotta get around to that! I kind of liked the character of Tsutomo, and the idea that someone might recognize them if they were really paying close attention. I buy into the whole deal where people magically can’t tell that Minako and Sailor Venus look exactly the same, but that doesn’t mean that no one could figure out their other similarities. As for anime Naru, she absolutely knows. The part where she was singing that song with Usagi was early in the show before she could have known, wasn’t it? It wasn’t after the R season when Naru knew, right? As for Yusuke… episode 6 was just plain weird. It feels like a totally different show. Seems like he would have to notice when Usagi suddenly is nowhere to be found and Sailor Moon appears. On the other hand, didn’t this happen more than once in season 3 when suddenly Haruka/Michiru disappear and Uranus/Neptune appear? And they also saw Usagi disappear and Sailor Moon suddenly shows up? But they still didn’t know for sure until they saw the transformation. Honestly, the entire run of episodes before Mercury appears feels like a totally different show. Sailor Moon was often getting attacked by mobs of brainwashed enemies (rather than fighting the youma directly), her relationship with Luna was strained at times, and the whole setup for episodes was often really weird. I definitely agree that the whole Yusuke thing was just really bizarre. I was just talking to my boyfriend about how I was watching the Snow White episode Sailor Moon pulls out her compact and transforms right in front of Naru and Umino who aren’t even knocked out or anything. Naru’s in a pile with Mako, Minako, Rei, and Ami but she’s still 100% awake cause we see her poking her head up during the commotion. Umino who isn’t even knocked out or in the pile! She totally just exposed her secret identity and they had to have seen and heard her say her transformation phrase. I know it’s probably an oversight on the part of the writer but it did happen. And then immediately after when the inners go on stage Ami exposes her identity to the entire audience by saying she has the ranks highest in the national practice exam averages. 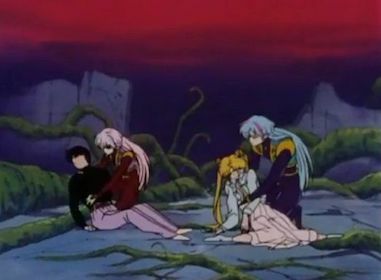 Also just something I kind of pondered, in the series finale episode we see the starseeds of the whole planet floating around and as we notice when everyone’s starseeds reappear the seeds are sentient so it’s possible that they retained that memory which may be why Usagi essentially becomes the queen of the planet beloved by all (well besides the Black Moon Clan). The downside is… now literally everyone’s seen her naked. O_o Very embarrassing. Not that I disagree, but to be fair, it’d be a lot harder to check up on that Ami one way back in 1993. =p Without an easy to access internet and readily-published information, you’d have to probably go directly to schools or other first-hand published information to track down the information on who is the top ranked in the national practice exams. And yeah, I feel like there were a lot of weird oversights like that where anyone in their right mind should’ve picked up on it. But I guess nearly every single super hero story has that same problem, be it Batman, Superman, Spiderman, Sailor Moon, or otherwise. I’m pretty sure Anime!Unazuki knows. I don’t remember the episode, but there’s an episode of SuperS where Luna talks right in front of Unazuki. It’s pretty egregious… The girl even reacts to Luna talking by looking down at her… not in a shocking way, but more in a “reacting to what she’s saying” way, as if a talking feline is old news for her. So either we’re supposed to assume Unazuki knows, or the anime crew completely forgot that she isn’t supposed to and this is a pretty outrageous goof. What about the hotel staff in episode 20? Sure they were doing their silly ceremony during the transformation, but Sakiko’s dad was within view and conscious. Besides, they’re in the middle of nowhere: three guests arrive – three guests vanish, three Senshi appear – three Senshi disappear, guests return. It’s not certain, still; but I think it’s even more plausible than Yusuke. That episode was just so out of the realm of the normal Sailor Moon universe that I hesitate to even call episode 20 canon. I think I need to rewatch it again asap.